But I do know when I'll be back again. NYC bound. And, of course, my knitting is coming with me. 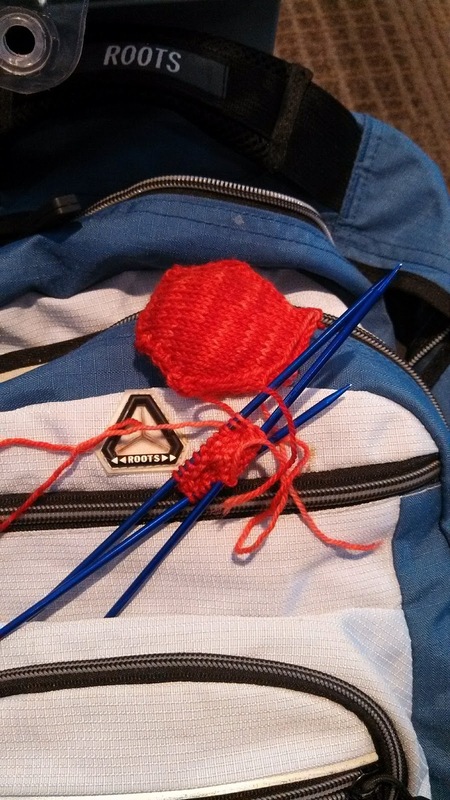 I hope I find a nice yarn store. 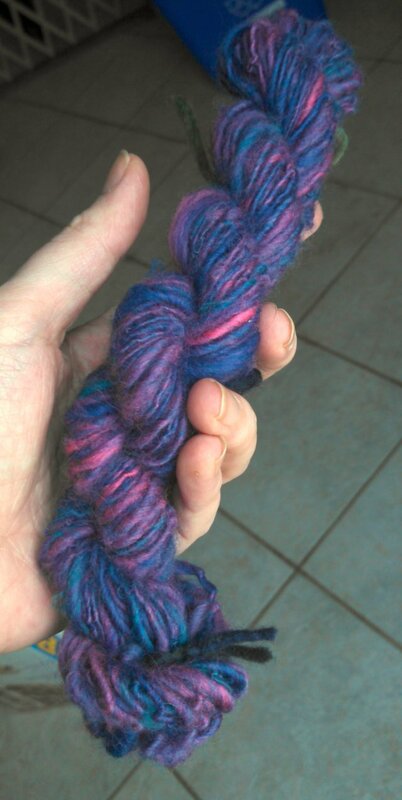 Awhile back I spun my first yarn. 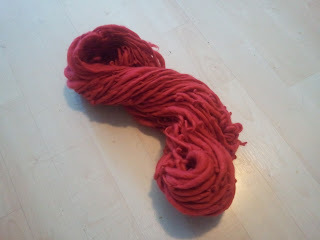 It was a beautiful brilliant red top merino. 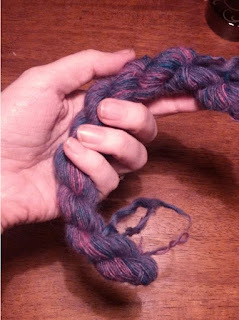 Being a complete noob, I didn't realise that it is okay if you overspin your yarn and unspun a lot of it . Needless to say, it was felty looking and ugly. 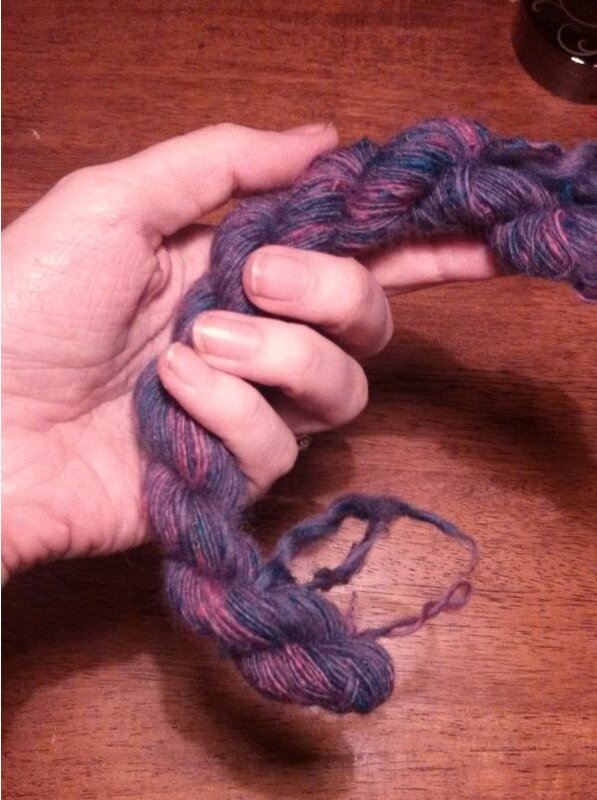 Now that I have a couple more skeins under my belt, not to mention the awesome new spindle, I took it upon myself to "fix" the yarn. 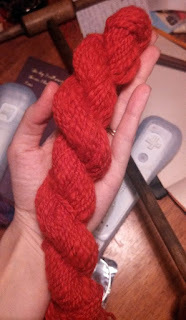 I spun about 50 grams of yarn, made an Andean bracelet on Justin's recommendation, and plied it to itself. 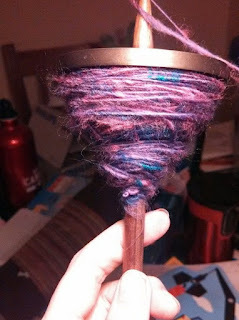 The rest of the fibre! I finally finished spinning yarn from the bag of fibre Cindy gave me. It all turned out so beautiful! 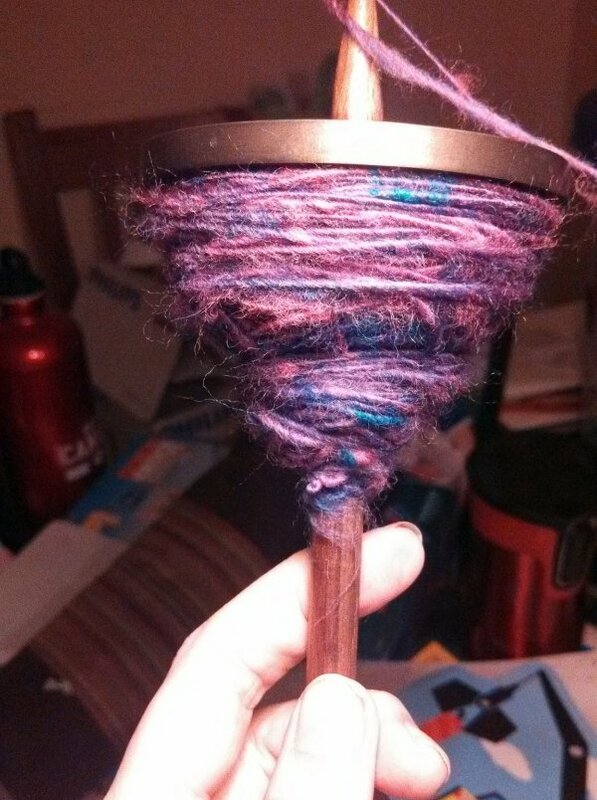 I did the first skein with a wooden spindle I got at the Kitchener Waterloo Knitters Fair and the other, newer skein with a spindle Justin gave me. I keep forgetting what it's called. Ashford, I think?